Best Chicken Free Dog Food For Your Pooch! My Dog Ate Raw Chicken. Will It Be OK? 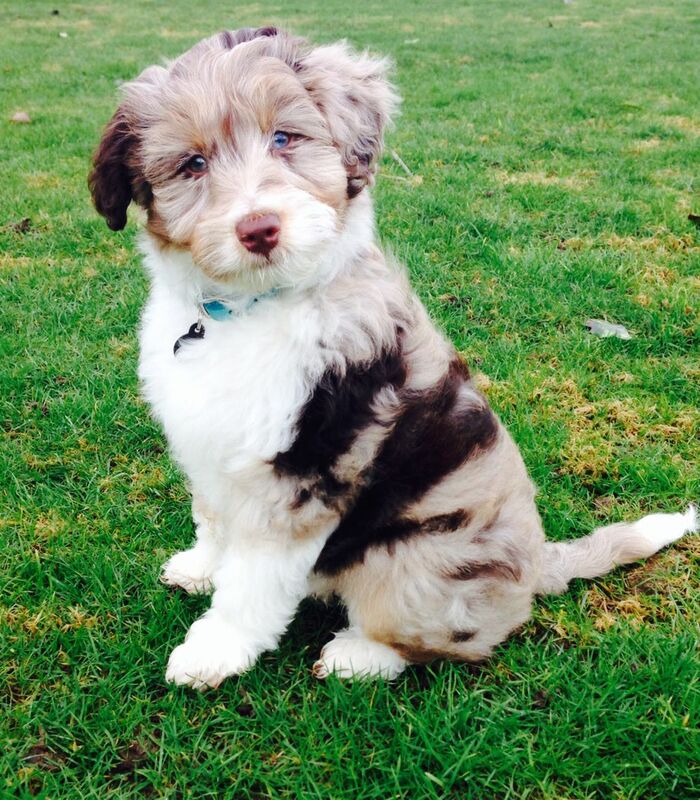 Just by the sight of the Aussiedoodle’s eyes, you will instantly fall in love with it. If you are a dog lover of mix breeds, then this article is for you! We are going to discuss the origins of the Aussie Doodle, its amazing features and emotions, how to care for it and any related health issues you should be cautious about. How big is an Aussiedoodle? Is it a good family dog? Does it shed a lot? This medium-sized dog is the product of the Standard Poodle and the Australian Shepherd. The Aussie was groomed to be a working dog. Therefore, this dog is very energetic, exceptionally clever and clearly requires the owner to be of the same energy. On the other hand, the Poodle is well-known to be intelligent and very active. 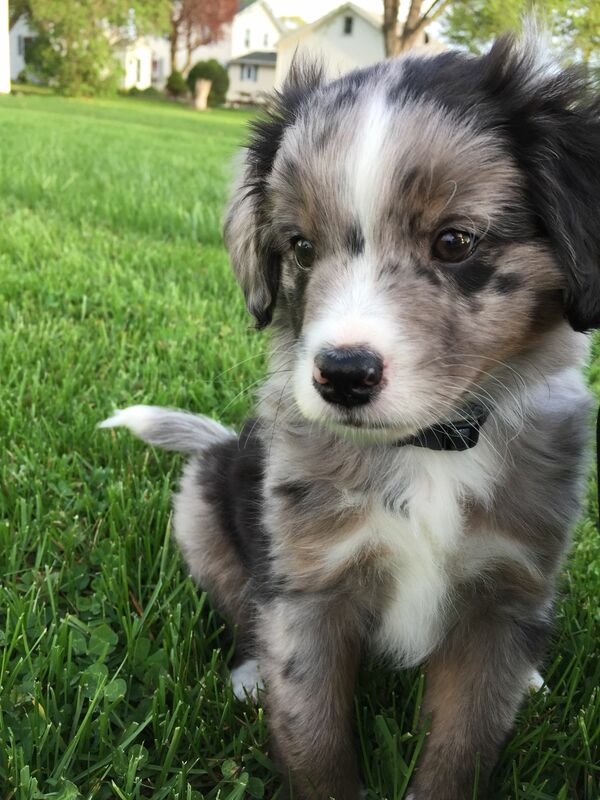 Read more about both the Poodle and Australian Shepherd here. During crossbreeding, the Aussie is always the mother while the Poodle is always the father to avoid any complications during birth. However, a Standard Poodle mum can also handle the birth. This is just one aspect of the crossbreeding procedure. Even though this breed was just recently introduced (about ten years or so) it is slowly warming its way into most people’s heart and is increasingly popular among dog lovers. This is one of the dog breeds that will be more popular in the years to come. It will obviously depend on the individual parents and the character that will manifest onto the puppy. All in all, most Aussie Doodles have wavy hairs onto a tight and straight curled coat. The size of this breed will also depend on the individual parents. For example, Aussiepoos that have a Miniature Poodle as one of their parents will be about 12 inches tall and weigh about 22 lb. On the other hand, the Standard Poodle will give birth to hybrids that are 22 inches tall and weigh about 62 lb. 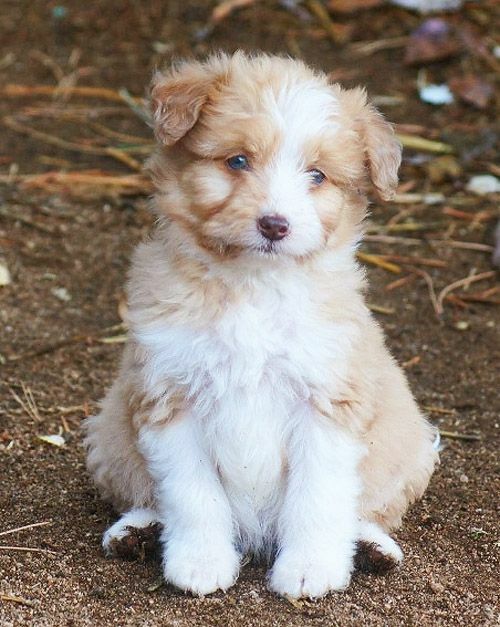 The large Aussidoodle can grow up to 23 inches tall and weigh about 70 pounds. This gives you a broad spectrum in terms of height and weight to choose from. The breed comes in different colours that you can choose from. This is generally because their individual parents also have different colours. The Aussidoodle is a very playful pooch and will always bring you gifts once she sees you. She loves teasing other animals, too. For example, it will show a fellow dog some of its toys, then run away with it. This is actually one of the Aussidoodle’s favorite games. It also loves it when you chase it around. Yes! It loves affection from its family and master. It will quickly make new friends and instantly make them one of its pack members. Plus, it is a friendly dog that won’t just bark at any stranger. Additionally, it is the perfect choice for kids. No signs of aggression have ever been noticed from this breed. Hence, you can be sure your kids are safe. You can include other pets into your family since they are friendly to other animals, too. The Aussidoodle can be bouncy at times. This is one of the reasons why it is a master of agility training. It can jump and lunge into any obstruction in its path while playing. It might be capable of jumping over your fence. If you are outside with it, it'd wise to have a leash on it. This breed loves to learn new things. Even if you are inexperienced in this sector, you can easily command it. Its exceptional intelligence also makes its training an easy task. Regular brushing of the fur will help to keep your house clean and prevent matting. The Aussidoodle is said to be a light shedder with soft hair. 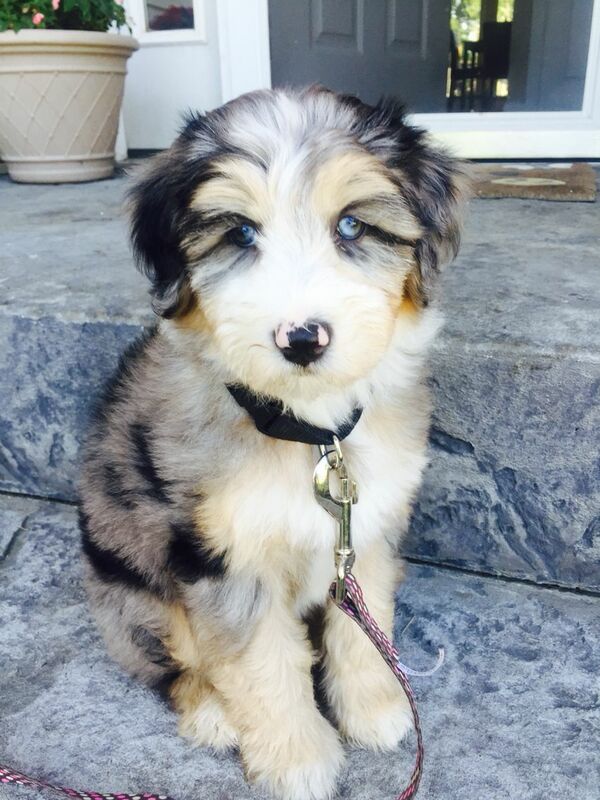 However, if the Australian Shepherd’s traits are more dominant in the hybrid, the shedding can be more than expected. Crossbreeds are usually prone to the health disease that affects the individual parents. It has a life span of about 12 years if well taken care of. It is always advisable to get a hybrid from a reputable cross breeder. 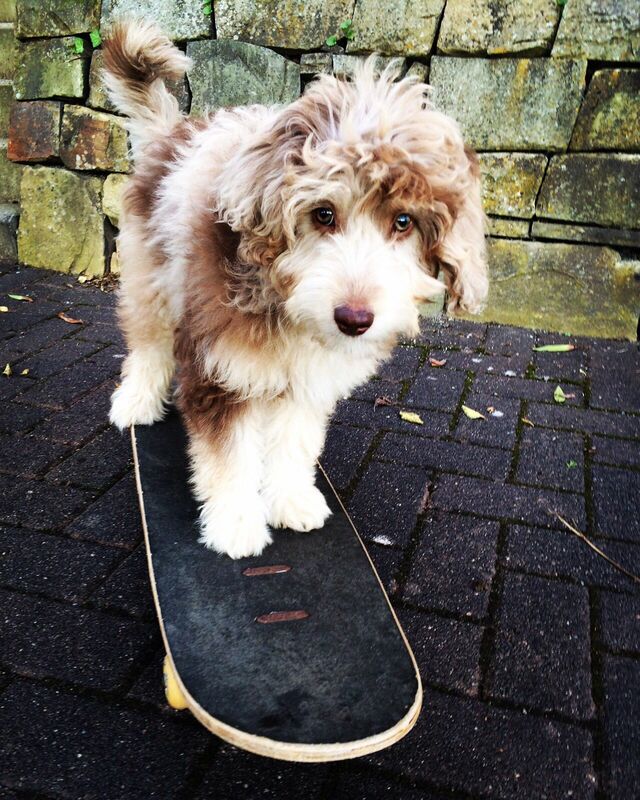 This will ensure you get the best quality in the Aussidoodle. In addition, try to enquire about the diseases are affecting the individual parents so that you can take a better care of your puppy. I hope with the above descriptions, you now have a better understanding of the life of your Aussidoodle. Have you got one yourself? Do share with us in the comment below! Copyright Text 2019 by Kyra Pets. KyraPets.com is a participant in the Amazon Services LLC Associates Program, an affiliate advertising program designed to provide a means for sites to earn advertising fees by advertising and linking to Amazon.com. Amazon and the Amazon logo are trademarks of Amazon.com, Inc. or its affiliates.